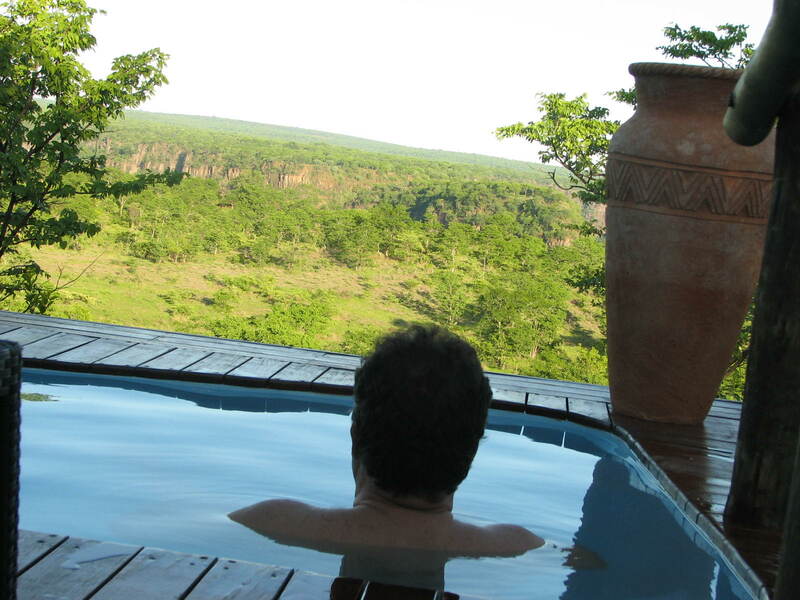 Yet another unbelievably impressive facility at the obviously recovering Victoria Falls is the Wild Horizons Elephant Camp. 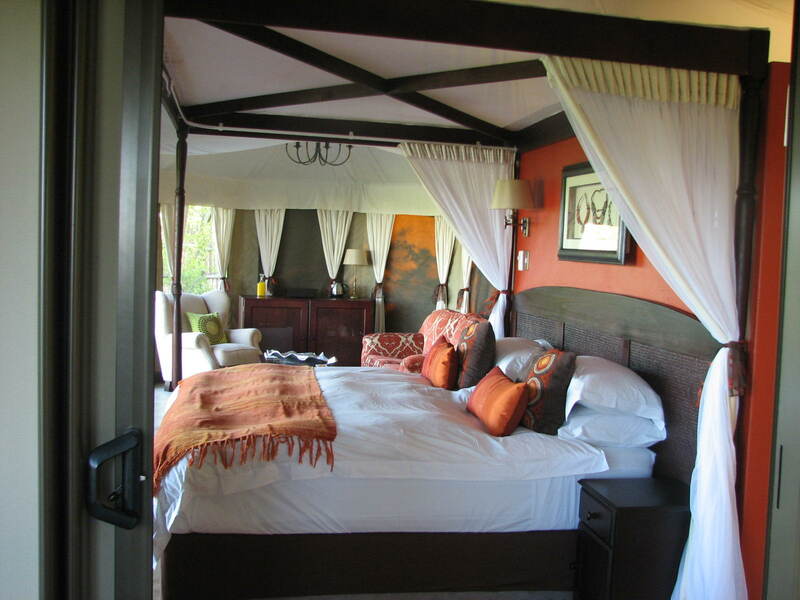 A luxury tented camp accommodating up to 18 guests in exquisite facilities where the attention to detail is staggering – even a pair of nail scissors to open the tea/coffee sachets in your room. One definitely does not want a guest to break a nail doing menial things whilst on safari! The front deck of each tent includes an open shower, loungers and a cuddle puddle (pool) with a unique view of the spray of the Falls to the left and Gorge to the right. A Honeymoon paradise! If the hospitality and the well appointed rooms are not enough, Sylvester will definitely impress. 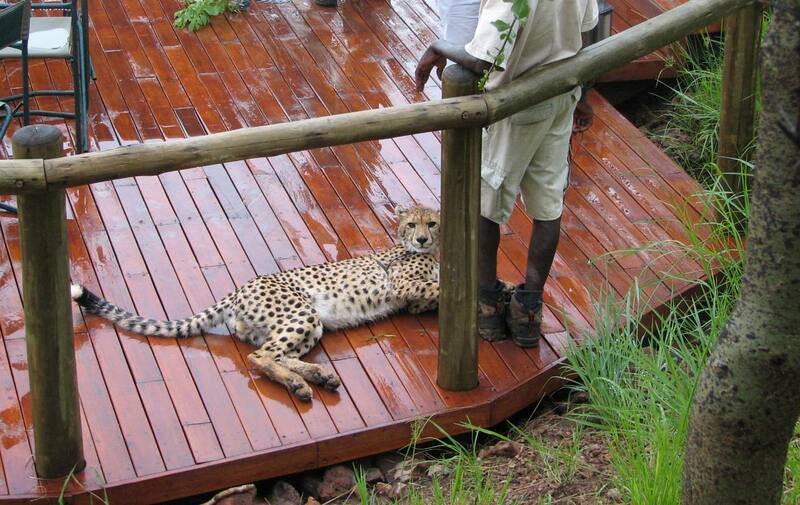 A young cheetah under rehabilitation comes by the main lodge every morning and evening for his walk on the wild side. He is released from his harness in the bush below the Lodge to run and play. When we visited, he put on a show that most animal trainers would envy. He tried to climb a small bush which he very ungracefully fell out of and then half embarrassed but in no hurry to go, reclined on the pool deck, rolling to and fro, making eye contact with the appreciative audience. 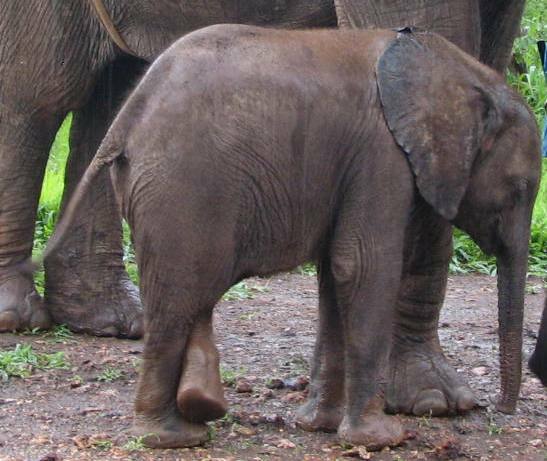 And still more to see … the nearbyWild Horizons Elephant Bank Safaris offers Ellie rides but for us the opportunity to interact was more than enough. Particularly the babies – it was raining and a teeny little ‘un totally preoccupied with getting mud of his feet distracted us from the feeding of the adults and their farewell salute. The large thatched central complex offers its own group catering facilities – a fantastic incentive product. Yes – what a treat! Hope 2011 is very good to you. Take care. Looks like an absolutely luxurious experience.